1.Cnc engraver machine AKG6090 main features. (1).Integral cast iron frame,more durability. (2).Inported all steel linear guide with high precision,ensure machine frame much stability and dutability. (3).High accuracy rolling ball screw from Gemany,assure machine frame of better precision. (4).Handle controlling,not occupying computer resource,one computer can control several equipments. (5).Be compatible with various CAD/CAM software as TYPE3/Artcam/Casmate/Artcut etc. 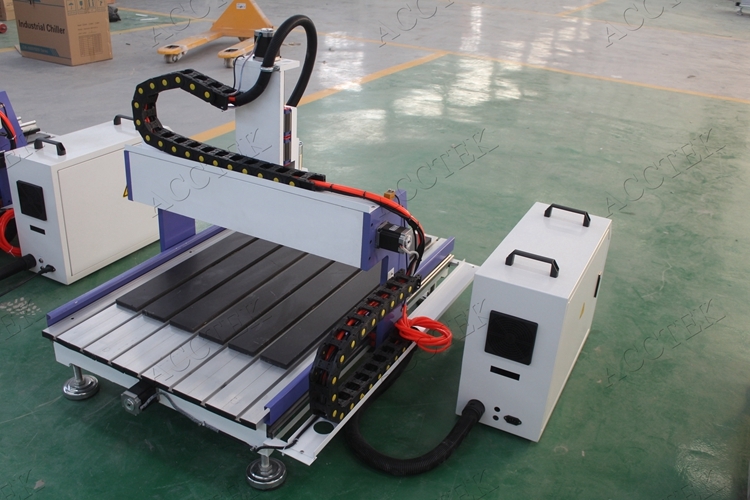 3.Main Features of cnc router machine AKG6090. 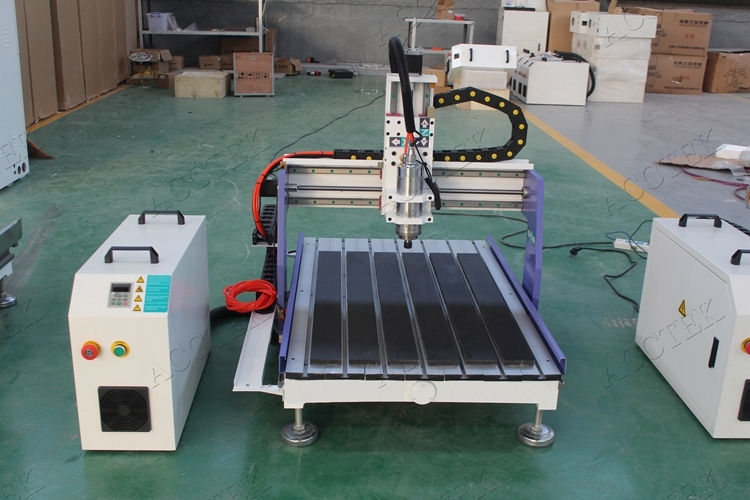 4.Technical Parameters of cnc router machine AKG6090. 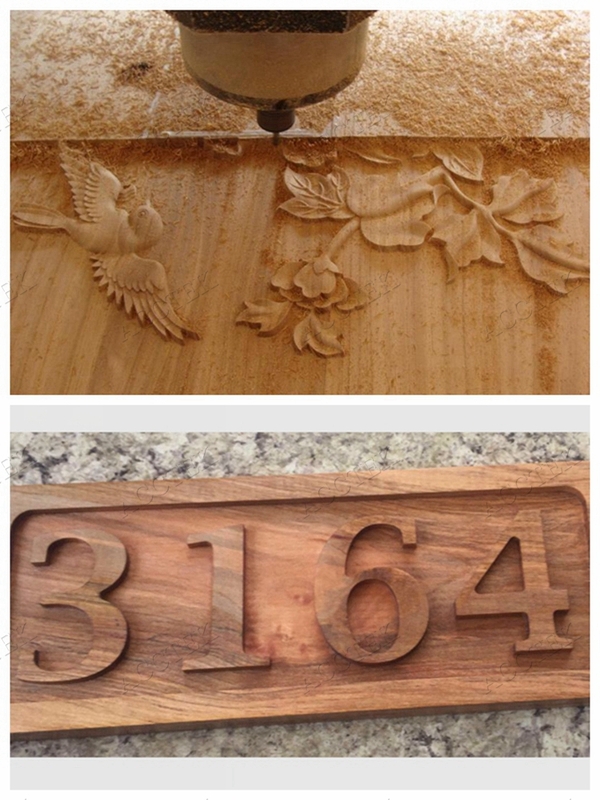 5.Detail images of cnc router woodworking machine AKG6090. (1).Changsheng water cooling spindle, rotate speed 0-24000rpm. 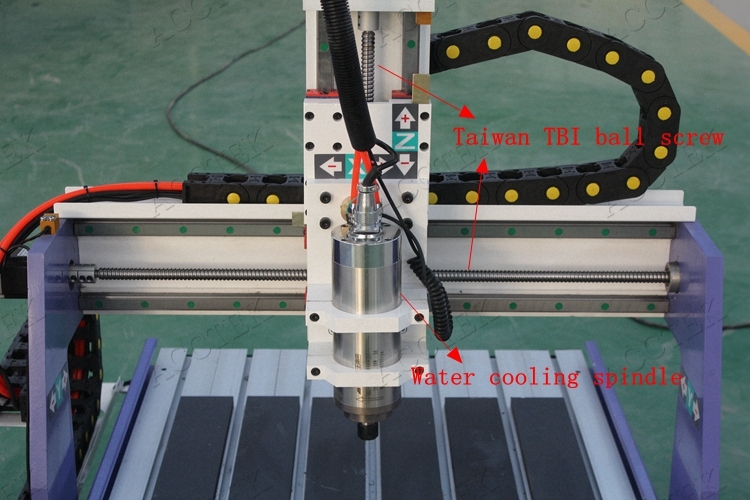 (2).High accuracy Taiwan TBI Ball screw transmition. 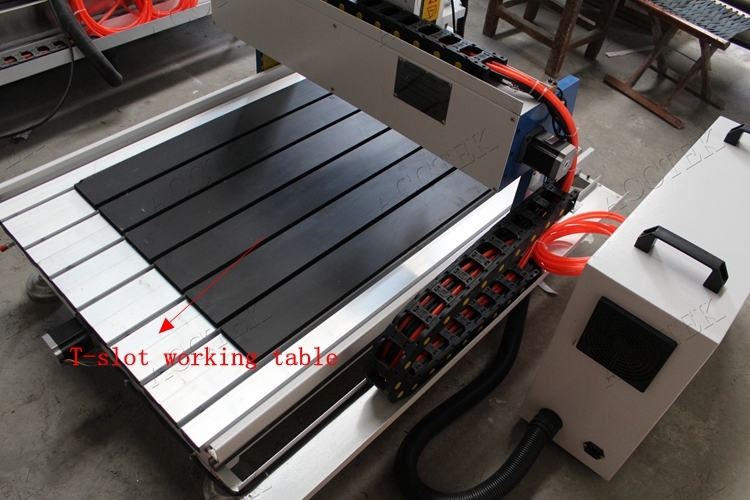 (3).T-slot working table with aluminum profile and PVC. 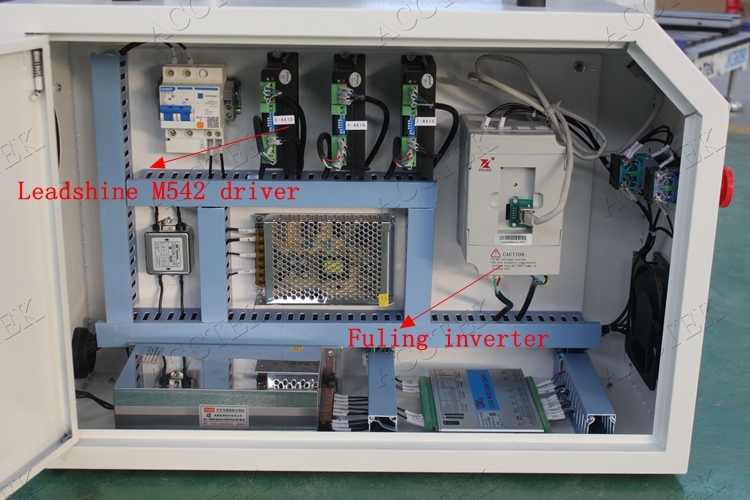 (4).Controller cabinet:Shanghai Fuling inverter,NEMA23 stepper motor and Leadshine M542 driver. 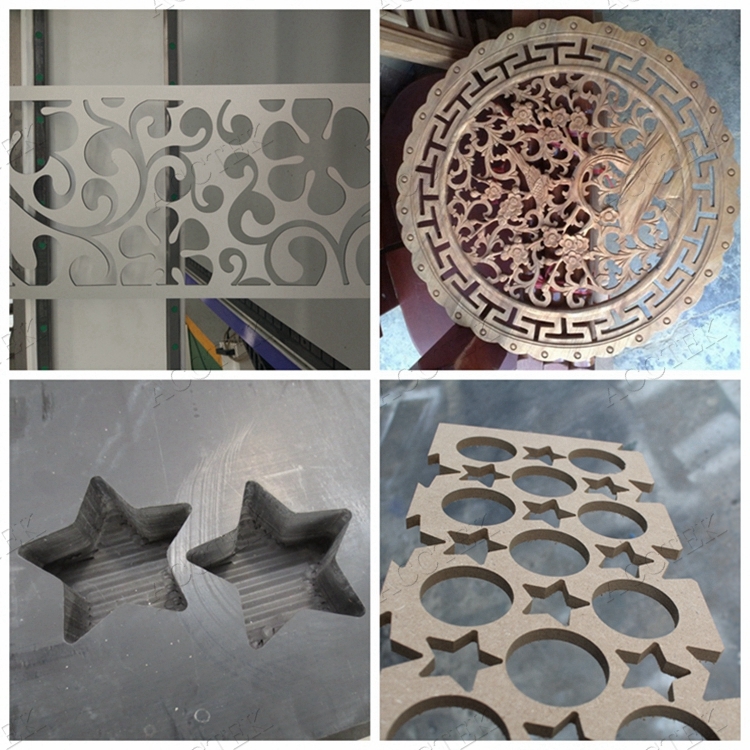 6.Optional parts for mini advertising cnc router machine. 1) Air cooling spindle motor. 2) DSP control system and Rotary axis. 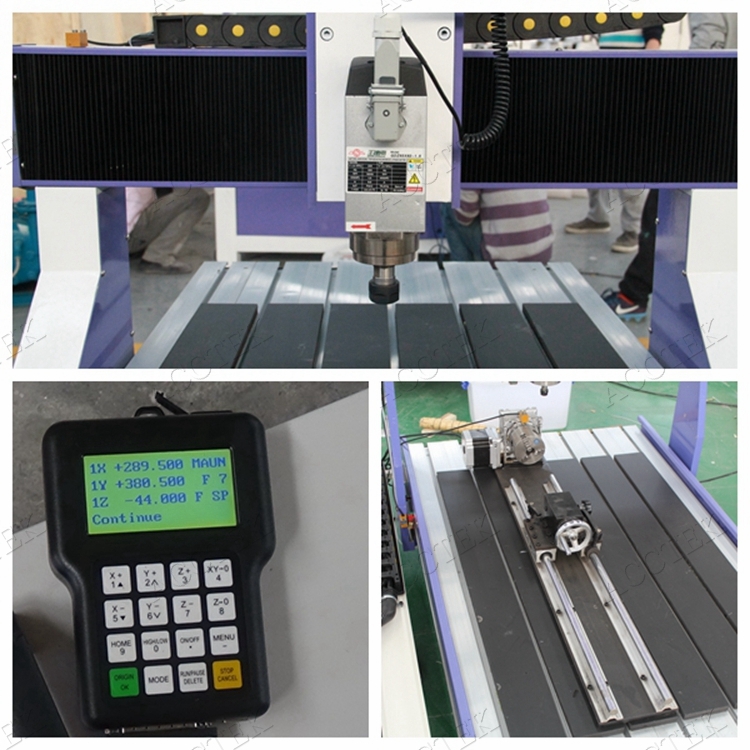 7.AKG6090 CNC Machine working samples. 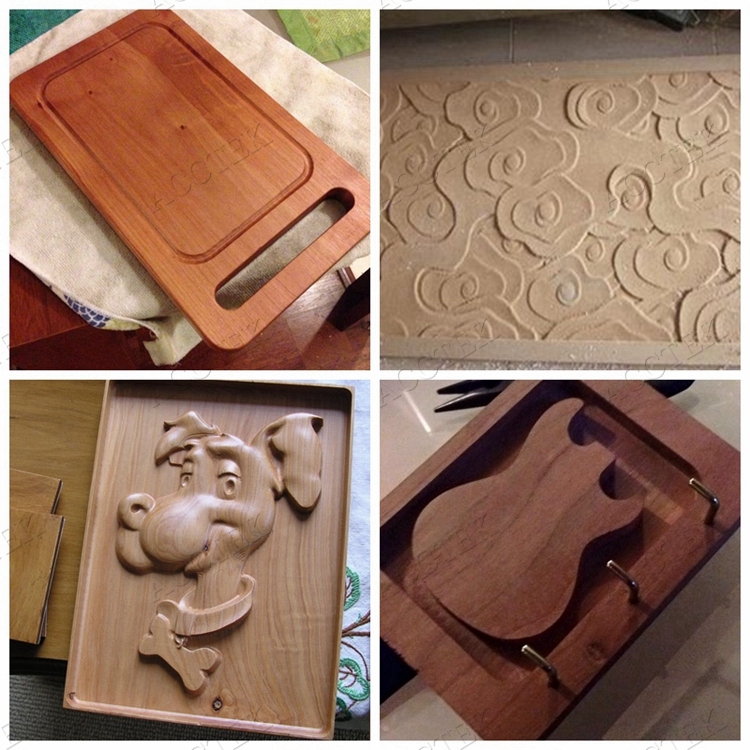 5) Decorate industry: Acrylic, PVC, MDF, artificial stone, organic glass, plastic. 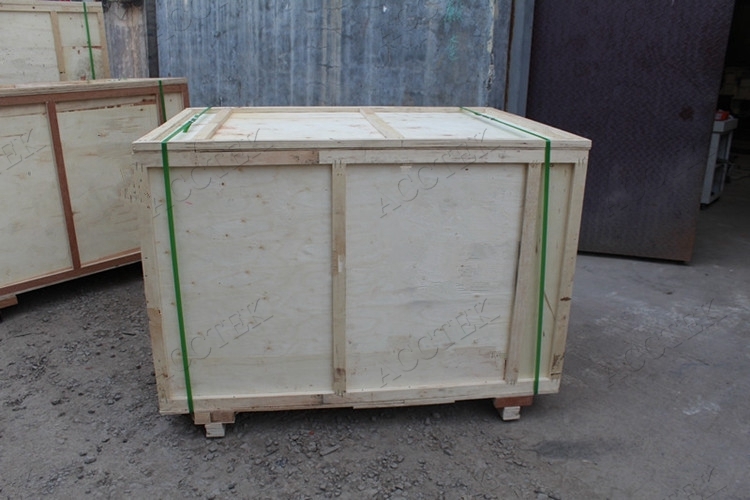 9.AccTek cnc router packaging & delivery.